Caramoor and Little Joe’s Books Join Forces to Create Four GREAT Family Evenings this Summer. Do you know about Caramoor’s Dancing at Dusk? Children of all ages have the opportunity to dance to live music, interact with the musicians, get to know their instruments, and ask questions. Designed for toddlers through pre-teens, these evenings are a wonderful way to have your child introduced, up close, to music in a relaxed and joyful way. This year Caramoor’s Dancing at Dusk 4-part series explores the music of 4 regions of the world. 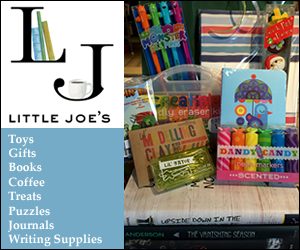 And they asked Little Joe’s Books to pair each region with a children’s book – so your family can learn more about that region before or after the evening! Wednesday Night, June 27th – 5 pm: Paradise in the South Pacific! Paired with: Children Just Like Me by DK and UNICEF. Wednesday Night, July 11th – 5 pm: Flamenco Vivo! Paired with: Lola’s Fandango by Anna Witte. Wednesday Night, July 25th – 5 pm: Bhangra Night! Paired with Rikki-Tikki-Tavi by Rudyard Kipling, adapted and illustrated by Jerry Pinkney. Wednesday Night, August 8th – 5 pm: Brazil! Paired with The Great Kapok Tree by Lynne Cherry. Wednesdays on Friends Field at 5:00 pm, Tickets: $10.00 Adult, $5.00 Children. All books are available now at Little Joe’s Books. Learn more about the Dancing at Dusk programs and Caramoor’s summer season of music at www.caramoor.org. Bring a picnic, spread out a blanket, and enjoy great music and books together. We hope these evenings create wonderful summer memories! Little Joe’s Books, 25 Katonah Avenue, Katonah, NY 10536, 914-232-7278, www.littlejoesbooks.com.